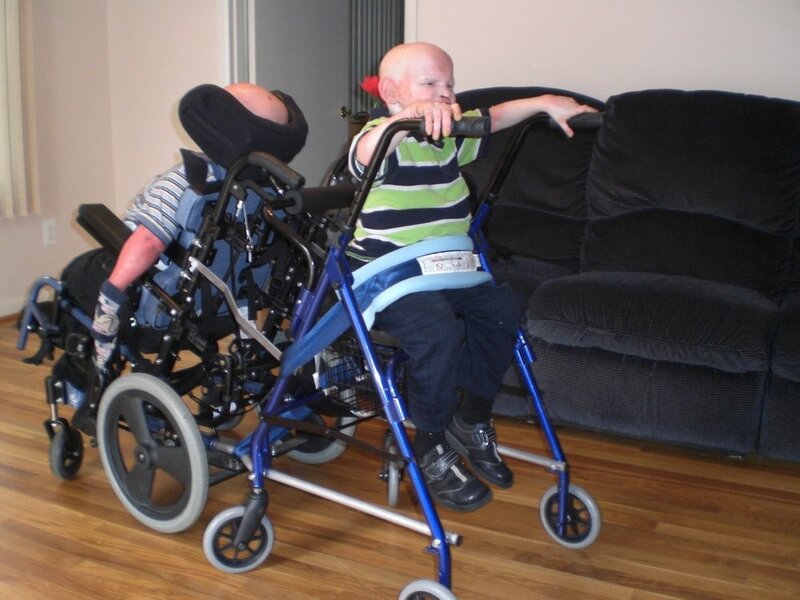 Two growing brothers, one with a rare developmental disability & unable to walk, share a tiny room. Volunteers designed a bed with specialized steps for crawling and cool, “big boy” railings. 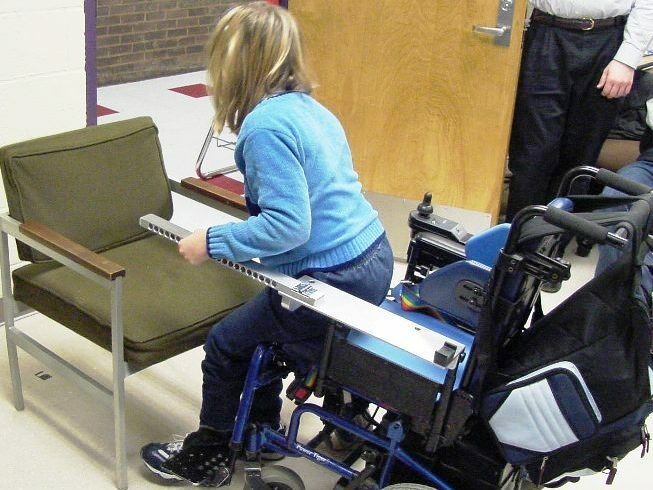 Bitsy couldn't transfer from her w/c to another chair or the toilet until a CCBC class created this sliding, light-weight arm that she uses to help herself up and over. It is easy to attach and remove. She has used that on at least 3 w/cs since. Now mom can push her two sons to the store. She would need an aide to shop without this custom stroller. Her children have a rare condition and cannot walk far. 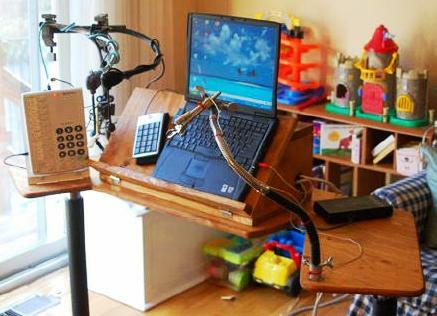 A multi-use desk for phone, computer, mouth stick rest and more for someone who has MS and is paralyzed from the neck down. 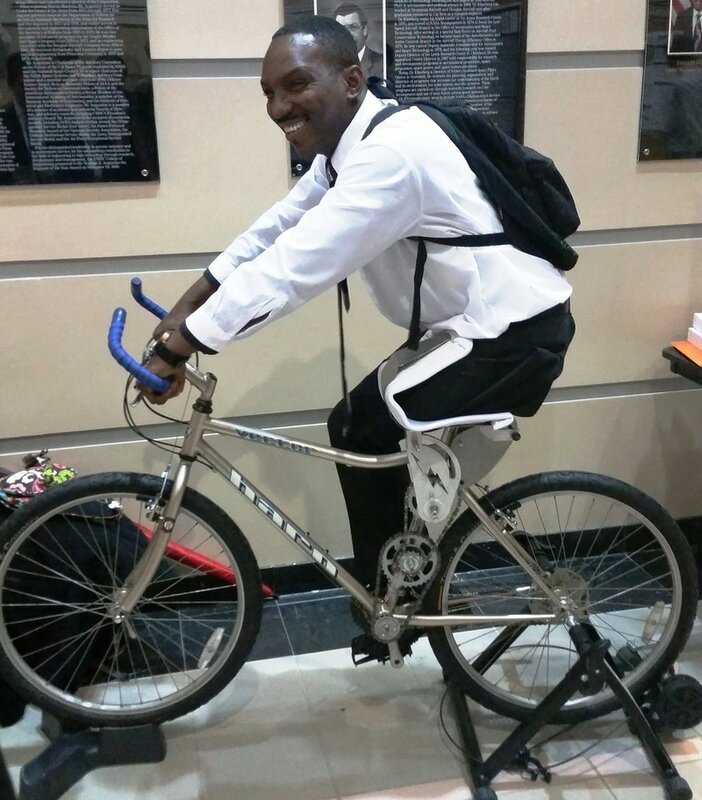 A custom bike helmet with was designed for Vincent, who wears hearing aids. He no longer has feedback interference and signaling technology alerts him when anything approaches from behind. Marsha had almost no strength in her hands. She was in an accident > 20 years ago and her spine was injured. 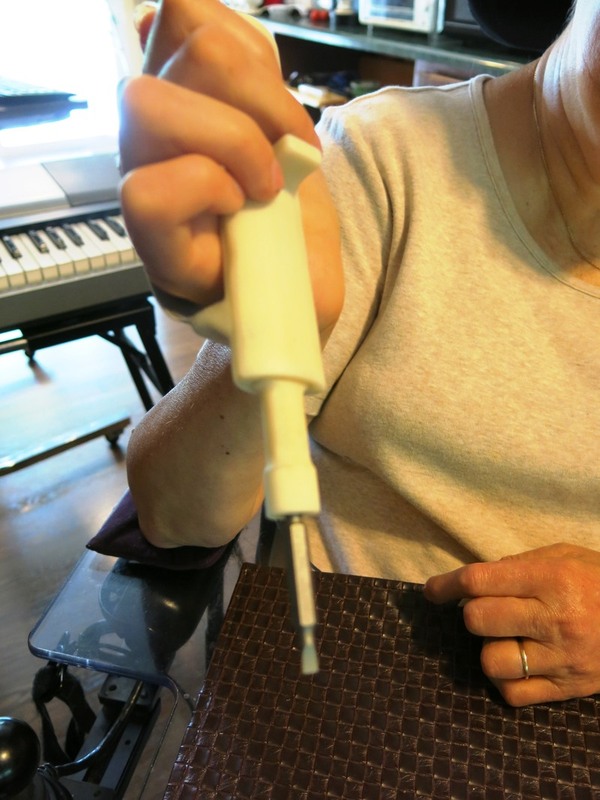 She needed a way to eat, paint, use a keyboard independently. She has a hand assist made by a student team now. Imani wanted to get more exercise & lower her blood pressure, but at 3’3” feet tall and being blind, she was unable to find an elliptical machine to fit our size and allow her to easily get in and out. A custom solution worked. Kayla's mom is happy now that Kayla can ride a bike and be safe - mom has a remote brake! Sometimes for girls, it's all about the color PINK! For 11 year-old Alyssa, a hand-cranked PINK bike with hand brakes brought out her bright smile! The bike was also designed with a resting area for her left prosthetic. Special thanks to our partner school, UMBC. 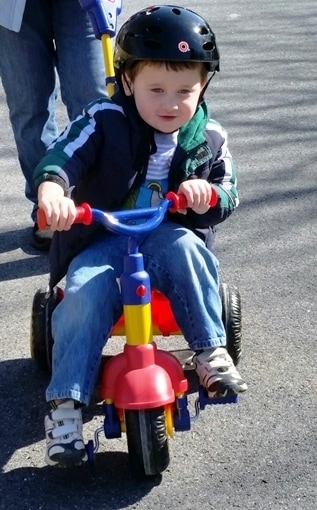 Three-year-old Nesenal takes his new combo scooter for a spin. It was designed by lady engineering students at Johns Hopkins to allow him to sit upright (with back support & pommel) or lay on his belly and push with his legs. Nesenal has cerebral palsy causing low tone. He needed an indoor scooter to keep up with his siblings. Are you a PS4 gamer? Staci's family members are! Up until this point, Staci was only able to be a game on-looker. But, thanks to the design by UMBC engineering students, Staci is able to actively participate with the best of them! 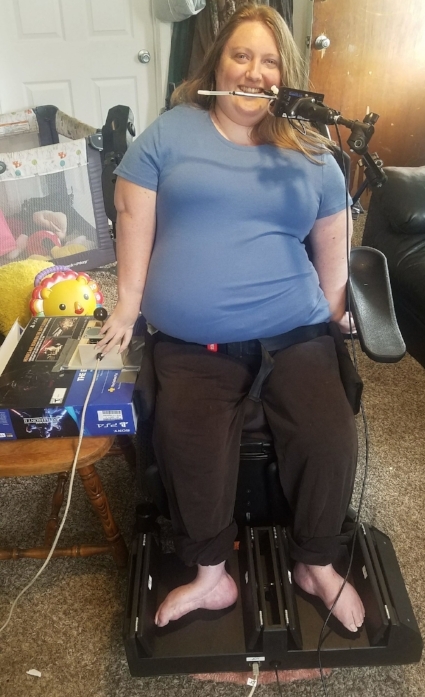 Custom foot pedal controls together with an adaptive joystick to match the curvature and movement of her right hand, contributed to the solution. Also used is a Quad Stick mouthpiece control system programmed into her PS4. Staci has Anthrogryposis which impacts the curvature of joints. Meet 11 year old Darryl - the oldest of 4. He has CP - spastic quad, non-verbal & visual impairments. 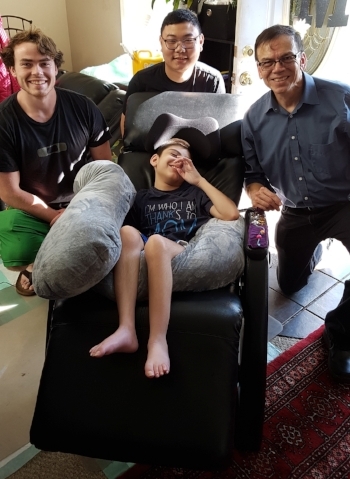 Darryl needed a modified recliner for comfort, posture correction, and safety so that the young ones do not climb underneath (much of the engineering is not obvious). But, the CCBC Team completed the job including a unique table to help with dexterity. Prior to Buck having a stroke, he loved to fish. 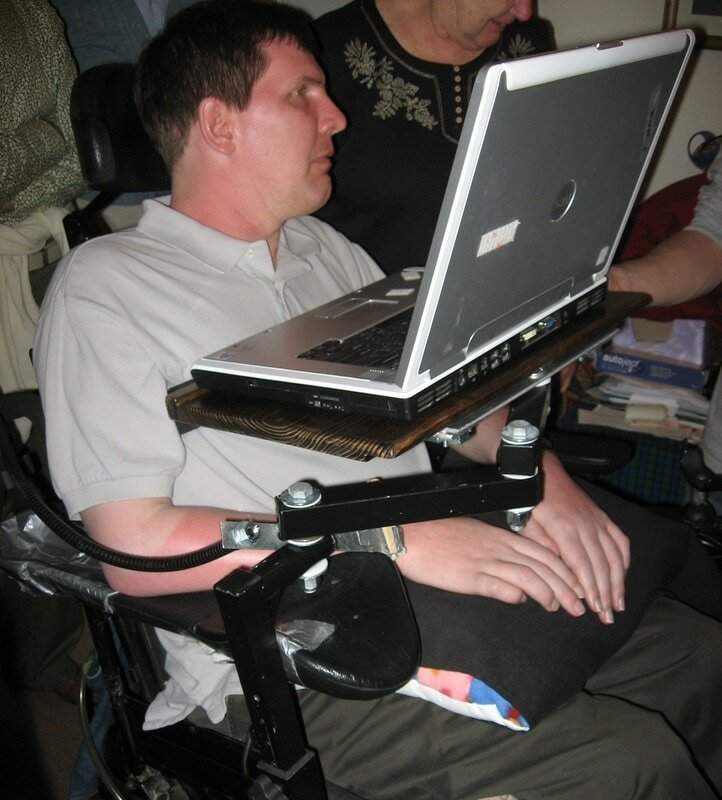 His sister reached out to us to create a way for him to get back "in the game". His stroke impacted his left side where he had no functional use of his left arm & hand. 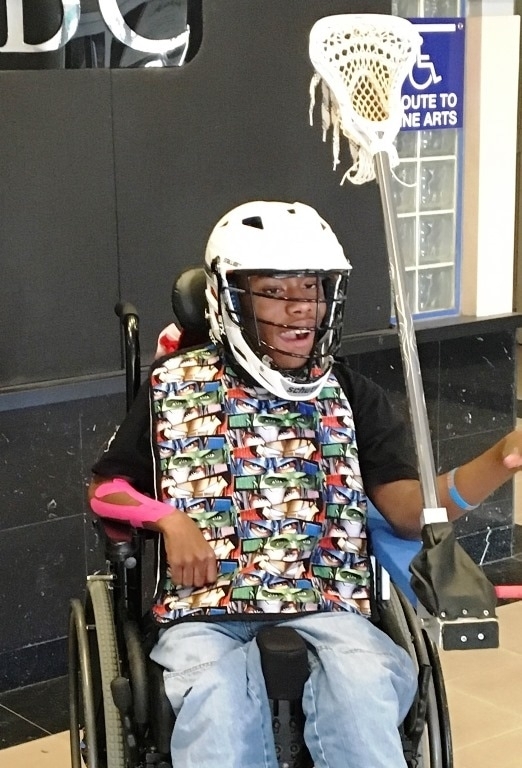 V-LINC student engineers created a device that attaches to the right side of his wheelchair and safely secures the rod for baiting and reeling. It angles in 5 different positions (2 shown). Now when Buck travels down south to visit relatives, he can enjoy the sport he loves. What do parents do when they cannot find a bouncer the correct size for their 3.5-year old daughter? Reach out to V-LINC! Students at Harford Community College adapted a bouncer for Morgan so that she can have the leg extension, exercise, and just "bouncy and fun-feeling" in a safe apparatus, that's needed. Morgan has Rett Syndrome, a condition that impacts the movement of muscles. Allie's Safety Bed - Cozy, uh! But, behind the softness of the bed is some keen engineering! 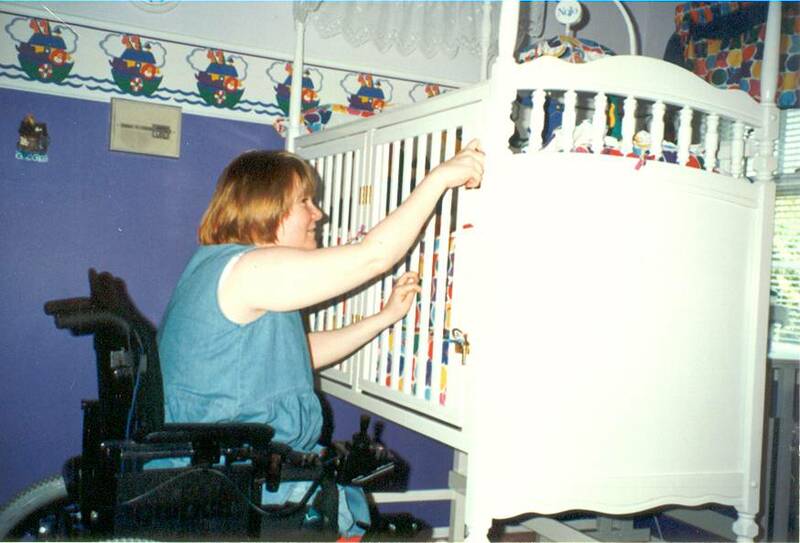 Young Allie, who has Epilesy and a birth brain injury - HIE), needed a big girl bed that incorporated the safety features of a crib. A V-LINC volunteer engineer incorporated the sturdiness, padding, and chew resistant railing/netting needed for a growing young girl.